Home » Events » 10-12-2014 (Rain date) Scavenger Hunt for Kids! 10-12-2014 (Rain date) Scavenger Hunt for Kids! 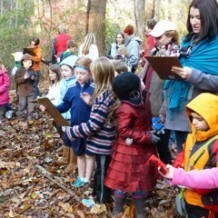 Join us for an “unnatural” scavenger hunt in Glen Providence Park! Pennsylvania Master Naturalist Chris McNichol and Media Providence Friends School science teacher Holly Hoffmann will place man-made objects within a natural area of the park, to be found and mapped by those with keen eagle vision (and some patience too). Children will also get a long plant and animal wildlife checklist, and see how many they can find! We’ll wrap up with some warm cider. 10/11/2014 UPDATE: Due to Saturday’s rain, we are using the rain date of Sunday, October 12, 3:00pm at the main entrance. – Best for ages 5 and up, younger eagle eyes welcome! – Be prepared for hilly, uneven and possibly wet terrain- wear sturdy shoes! – If the weather is questionable, we will post here and on facebook by 12:00 Saturday whether we will use the Sunday rain date.